Premise: In this cult favorite hybrid of slasher and police actioner, hard-boiled New York City policeman Matt Cordell (Robert Z'Dar) is framed and put in jail, where he's attacked by prisoners. He returns (From the dead? It's debatable.) seeking revenge on those who wronged him...and anyone else who gets in his way. A shadowy serial killer dressed as a policeman walks the streets of New York City, murdering people and sending the city into a panic. Policeman Jack Forrest (Bruce Campbell), is arrested for the killings after his wife turns up dead. Believing he's innocent, Lieutenant McCrae (Tom Atkins) investigates Jack's alibi: he was having an affair with another cop, Theresa Mallory. He tracks Theresa down as she's being attacked by the killer. They shoot him, but he doesn't appear to be injured...or breathing. McCrae becomes suspicious of another cop, Sally Noland, and discovers that she dated a "super cop" named Matt Cordell, who was jailed on trumped-up charges of police brutality and killed in prison by inmates three years ago. It turns out Cordell wasn't quite dead—he had severe brain damage (although that doesn't explain his ability to absorb bullets)—and Sally was able to convince the prison medical examiner to release the body to her for fear he'd be killed if he recovered and returned to jail. Sally had hoped Cordell, once healthy, would kill only the people responsible for his arrest, but Cordell became uncontrollable and starting killing random citizens. He eventually kills Sally and several other cops, including McCrae, at the police station where Jack is held. Cordell finally gets around to killing the police chief and commissioner responsible for his arrest, then steals the police van where Jack is being kept. He drives to the docks, pursued by Theresa, and ends up crashing into the water as Jack leaps from the van. As the van is pulled from the depths, Cordell's hand appears out of the water, hanging on to the pier. Is he alive? Undead? More undead than he was before? Jack and Theresa have been cleared of wrongdoing, but Cordell's body was never found, so their supervisors don't believe he was the killer, and they're ordered to undergo a psychiatric evaluation by psychologist Susan Riley. A nervous Theresa believes Cordell is still alive, but Jack is eager for them to move on with their lives. Cordell begins another murder spree, beginning with Jack and Theresa. Susan witnesses the latter's death and comes to believe Cordell is responsible. Investigating Jack's murder, Lieutenant Sean McKinney also begins to suspect the stories about Cordell are true, and he teams with Susan, whom he recently visited for counseling. Cordell meanwhile befriends a serial killer named Steven Turkell, whom he uses to gain access to Sing Sing, where Cordell was previously imprisoned. With police in pursuit and Cordell holding Susan hostage, McKinney gets Deputy Commissioner Edward Doyle to admit Cordell was framed because he'd uncovered corruption in City Hall. Doyle announces over the prison PA that he's signed a confession. Appeased, Cordell lets Susan go and kills Turkell and the prisoners who shanked him in jail, in the process falling from a window (while on fire) to his death. He's DEFINITELY dead now, right? He gets buried with full honors, but as his coffin is lowered into the ground with his badge on the lid, his hand bursts through and grabs the badge. As Cordell is being laid to rest, an old voodoo (technically, palo mayombe) practitioner named Houngan Malfaiteur somewhere in the city recites an incantation that brings him back to life, presumably to help clean up the streets. Meanwhile, McKinney's police officer friend Katie Sullivan, who earned the nickname "Maniac Kate" for her aggressive tactics (incurring accusations of excessive force), responds to a hostage situation at a drug store, where she shoots the robber and then, when the hostage (who turns out to be the robber's girlfriend) shoots her, she kills the hostage. 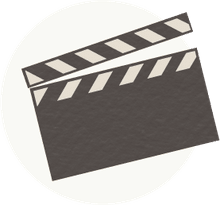 The affair is caught on camera by freelance cameramen who edit the footage to make it appear Kate shot the hostage in cold blood, thus making it more profitable when they sell. Cordell senses a kindred spirit in Katie, who likewise is pronounced brain dead, and becomes infatuated with her. Cordell, roaming the hospital somehow unnoticed, kills the doctors seeking to remove her from life support and then kills the two cameramen who shot the incriminating footage. He kidnaps Katie from the hospital and brings her to Houngan so he can reanimate her, but the old man says her soul doesn't want to return. Cordell kills him, and in a shootout with McKinney, Cordell, and Katie both catch fire. Still aflame, Cordell pursues McKinney and Katie's doctor, Susan Fowler, as they leave the scene in an ambulance. McKinney tosses an oxygen tank in Cordell's car, causing it to explode. Later, as Cordell's presumably dead charred body lies beside Katie's in the morgue, his hand reaches out to touch hers.